Till Windows 8.1, we had our good old Windows photo viewer app, but with the advent of Windows 10 this one is gone and has been replaced with the highly debatable Photos app. The reasons why it has been called debatable because a lot of people aren’t fond of this app. This app doesn’t match with the good old photo viewer app. Are you also dissatisfied with the app as well? Well, it’s natural because the app can get a bit complicated for some people to use. You may sometimes have to recover deleted photos if not careful enough. Another major drawback is the fact that it takes a huge amount of time for the images to load. So if you are here to know about some of the best alternative apps to Windows Photos, then you won’t be disappointed. You will soon come across the best 6 Windows 10 Photos alternatives. Excited already to see the list? Wait till you take a look! Do you remember the good old Picasa we used for editing our pictures? 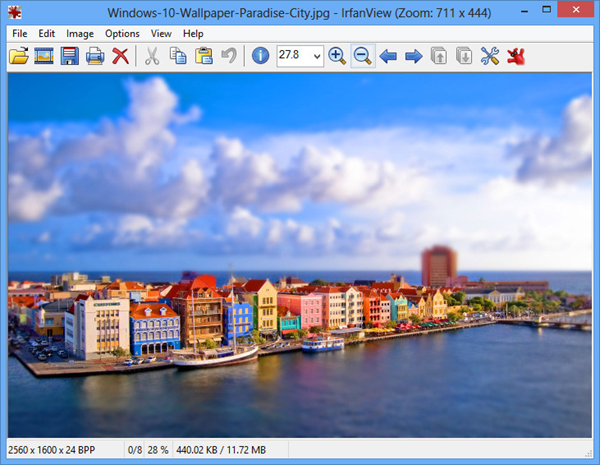 If you have used the app and loved it, then you are definitely going to fall in love with the FastStone image viewer app. This software supports a lot of image file extensions like jpeg, raw, png, gif, psd and so on. The user interface is also really easy to operate for most of the people. It will feel like you are using the good old Windows explorer. Unlike the Photos app, this one is really fast and works like lightning. There are various basic photo editing features as well which you will get once you install this app. There is the cropping option, the color effects one, the blurring feature and most importantly the rotate feature which is highly essential for some of the photos. 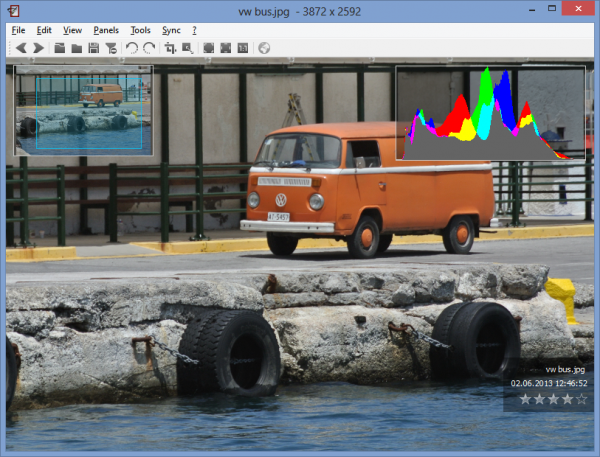 It has got a built-in editor as well as a converter for the images. 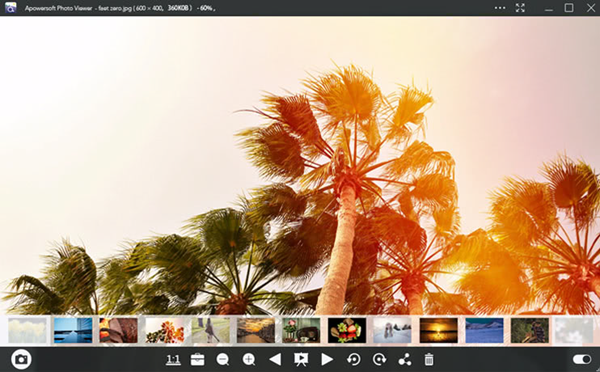 This is one of the eldest photo viewer apps that are available for the Windows devices. The people who try this app out for one time become fans of it, and they keep on using it, they love it so much. One of the major reasons for this is that the app is really useful, lightweight and simple. The IrfanView software supports various other things like you can do a batch editing, or you can do a slideshow, and you can even change the exit data and so on. All in all, this is a good app if you want the old school vibe and need something convenient to use. This is another amazing alternative to the horrible Windows Photos app. 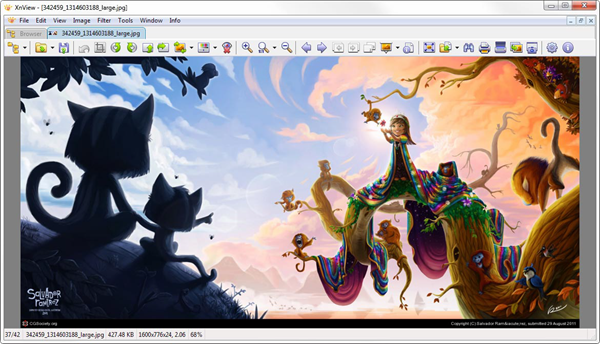 If you consider the design you will find that it is somewhat similar to the FastStone image viewer app. 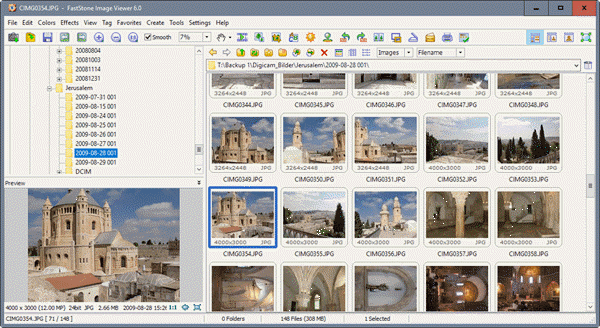 However, it has got a lot of lesser features than the FastStone image viewer. Some of the plus points of this app are that you can do a tab browsing, what it means is that you can simply view a lot of images together like we do when we are surfing the internet, we keep a lot of tabs open. This app also supports over 500 formats of images so no matter what extension your image has, be sure it will be opened in this amazing app. You can also do the basic editing in this one like crop, blur, rotating and so on. This tool also has a support to the multiple layer features so you can choose any layout that you prefer. Even though the name sounds funny, the app itself is quite useful. This is a hidden gem that a lot of people are not aware of. When you launch the app for the first time, you might not like the way it looks or feels. However, as soon as you start to discover the setting as the various amazing features, you will soon fall in love with this uber cool app. The thing about Nomacs is that it doesn’t support the folder view format which a lot of the other apps do support, what you have to do is you will have to go to the settings and enable it; it will not be present for you by default. Also, this one, like the other software also has all the necessary editing tools that are needed for the basic amount of edit, and in addition to that, you can also toy with the exposure and other color-based features. The thing with Jihosoft Photo Eraser is that it is kind of different from all the other apps that have been listed here. The best way to describe this app would be probably to say that this app is a cross between MS paint and Windows Photos. This Windows Photos alternative app does not support the entire folder view thing, but it supports more kinds of image formats than Windows built-in app and other alternatives do. Jihosoft Photo Eraser has a really nice Hi-Fi photo editor that was not present in most of the other apps. 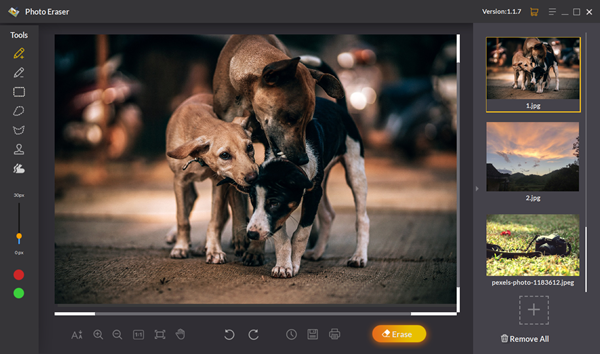 You can remove watermark, imperfection and unwanted parts from photos easily with this app. It is worth mentioning that this photo app also features in a pleasant yet practical interface. The thing with Apowersoft is that it is kind of different from all the other apps that have been listed here. The best way to describe this app would be probably to say that this app is a cross between ms paint and windows photos, even though it does not support the entire folder view thing but as soon as you open a picture to view it all the other pictures that are present on the same folder will simultaneously get displayed. The Apowersoft has a really nice hifi photo editor that was not present in most of the other apps. Whenever you click to edit the separate photos window will be opened. As already mentioned, some people might find the user interface a bit similar to ms paint, but there are amazing editing features like the pixelate, sharpen, blur, etc. So these are the 6 best photo viewers for Windows 10, which can perfectly work as alternatives to Windows 10 Photos app. If you don’t like the Photos app, make sure you switch to one of these 6 alternatives as soon as you can, and you are surely not going to be disappointed with it at all. 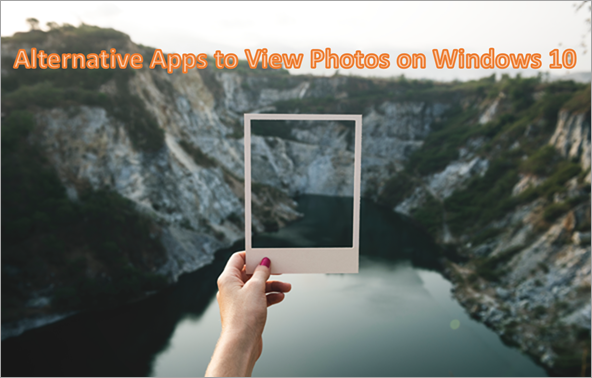 These apps have a lot of more additional features that the Windows Photos app can never offer, so make sure you do try them out. Pretty sure you will fall in love with all of them and never want to change back to the basic Photos app. How to Remove Watermark, Logo and Date Stamp from Photos?